Uber CEO Travis Kalanick's parents were involved in a boating accident on Friday that killed his mother and left his father badly injured. The company, in a statement on Saturday, called the incident an "unspeakable tragedy" and said that Kalanick's father remains in a "serious condition." Kalanick's mother, Bonnie, was 71. "Our thoughts and prayers are with Travis and his family in this heartbreaking time," the Uber statement reads. 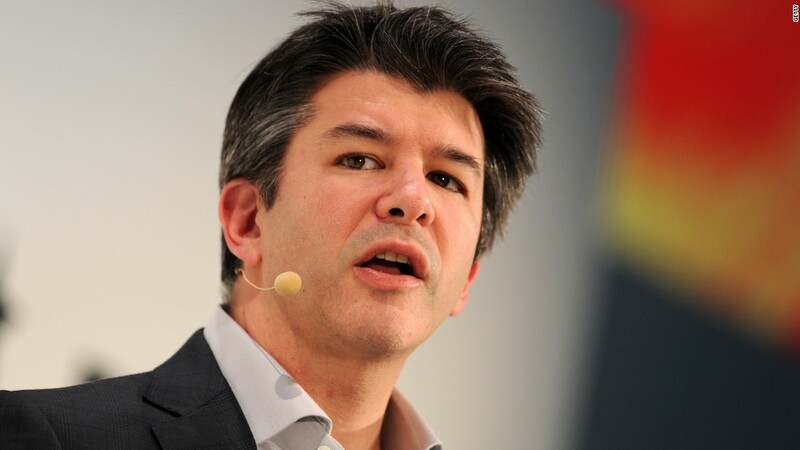 An email sent to Uber employees said that Kalanick's father is being treated at a hospital. Kalanick's parents, who went on frequent boating trips, were on Pine Flat Lake in Fresno County, California, when the accident occurred. The Fresno County Sheriff's Office said in a statement that an investigation into the incident is underway. An autopsy is planned for Sunday. "A preliminary report indicates the boat struck a rock and the man and woman on the boat suffered injuries from the collision," the sheriff's statement said. Kalanick was close with his mother, a person familiar with the matter said. Just over a week ago, he shared a Facebook post for Mother's Day with photos of them together, saying "I appreciate my mom, her infinite love and huge [heart] more and more." --CNNMoney's Sara O'Brien contributed to this report.